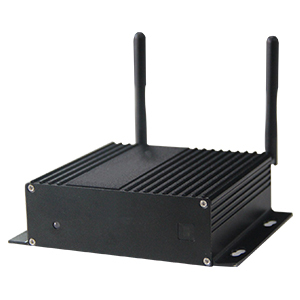 SA50 is a wirelss stereo WiFi and Bluetooth amplifier. It supports AirPlay, DLNA and popular streaming services such as Spotify, TuneIn. You can stream music from the online streaming services, local storage to play the same music to all zones or different music to different zones. SA50 supports different streaming protocols, such as AirPlay, DLNA, UpNP Spotify connect,Qplay. You can also use other DLNA supported applications such as BubbleUPnP,iMediaShare, ArkMC UPnP. The highlight of WiFi streaming is you can enjoy the high quality audio streaming without compression. SA50 supports HQ audio file formats like FLAC, APE, WAV. Sample rate supports up to 24bit, 192kHz. With the line output, SA50 can perform as a pre-amp, too. It’s a whole system audio output, no matter the sources from WiFi, Bluetooth, USB or DLNA. You can connect the line output to another amplifier to set up a larger house BGM. Sometimes,when you come home tired and do not want to use cellphone,just sit and click to play.